Local Pennsylvania taxes are generally filed along with your federal income taxes. 3. Do I Have to File State Taxes If I Owe Nothing? While most people focus on the costs of federal income taxes, state and local taxes can be a significant portion of your annual tax burden. In Pennsylvania, you need to file state income tax along with your federal income tax return, and might even have to file local taxes as well, depending on the municipality in Pennsylvania where you live. Pay your property tax bill when you receive the bill. It might be billed monthly along with your mortgage, or you might receive a separate monthly or quarterly bill from your city or town. Property taxes are a significant portion of local taxes. You might also be required to pay annual taxes when you register your vehicle and obtain a new tag. Fill out your local tax return and state tax return forms. If you use an online income tax filer, these forms should be automatically included. Otherwise, you will need to visit the local tax collector's office to obtain these forms. Fill in the amount paid in local taxes, which will be listed on your W-2 from your employer. Add any additional wages you have received from freelance work or other forms of income to the form. Calculate your tax liability using the instructions provided on the form. If you owe money, you can send payment along with the tax return or request a payment plan. If you do not owe money, you may receive a refund from your local or state tax office. Your employer must withhold your estimated share of state and local taxes from your paycheck, so you might not have to pay significant additional taxes. 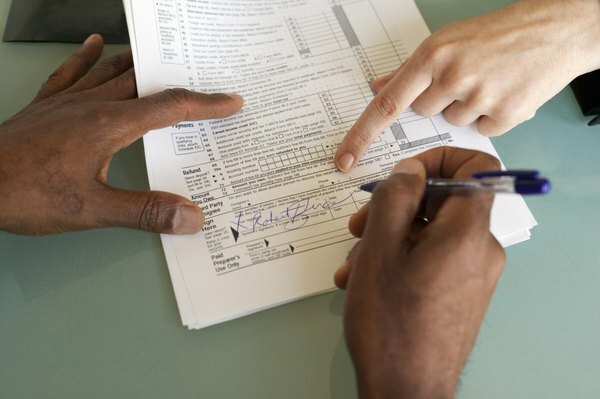 You must, however, file a local tax return regardless of your tax liability. Are City Property Taxes Deductible on Your Federal Tax Return? Can I Deduct State Disability Taxes on My Federal Taxes? Who Must File a Tax Return in Michigan? How Much Tax Deduction Can I Expect From Paying School & Property Taxes?